Dr.Avik Banerjee: Thank you , the secret of success has been has been a good study atmosphere , both in the college and home , Consistency , Blessings of the Almighty and parents , and finally the tension free study approach . Dr.Avik Banerjee: They all made me more and more confident that I could crack the exam in the single go , which gave me the impetus to give my best shot . Especially thanks to Bhupesh, Jasmeet , Anmol . DAMS: Who influenced you to take up Radio diagnosis? Dr.Avik Banerjee: The scope , the newly emerging possibilities in super specialities and the unsaturated nature of this branch made me incline towards it . Plus definitely there is the lifestyle factor as an added advantage . Dr.Avik Banerjee: Many many times , but I was always reminded that I could crack it , and even if I don’t , whatever results my endeavour produced , it would be well accepted , a fact , especially from my mother , again and again , which made me study the best . Dr.Avik Banerjee: The Standard Textbooks , for any repeated topic and topics of doubt . Some subjects everyday in the background : Medicine : Amit Ashish . Plus I want to add , the most yielding topics of every subject , rather than the whole subject , especially at the time of revision is a very very important utility . Dr.Avik Banerjee: Dams provided a very comforting atmosphere with a very cooperative teacher student and moderator student environment, where I could ask the doubts , post queries and give my tests and get the results at a very self adjusted pace . Of course to add to that there was the Dams exclusive website which dealt with many a controversial questions and topics which are often a source of confusion and errors . Dr.Avik Banerjee: Selective Intensive study , as I said , I made sure the most important topics of all the subjects , rather than the whole subjects was revised before any exam I gave . Dr.Avik Banerjee: Pros : a mental backup , time factor , experience of past papers helping . Cons : Burnt out during the time interval between state pg’s and all India . Dr.Avik Banerjee: Short subjects plus most yielding parts of long subjects . Dr.Avik Banerjee: Strategy was to simply to go the centre without any tensions or revision on the day of the paper , and to keep an high attempt , …..exams like Punjab don’t give you a choice , but for all india and aiims , if two options can be confidently ruled out , one must eliminate and go for the answer to stay in hunt . For PGI : only attempt choices one is 100% sure of . Dr.Avik Banerjee: After MD Radiology , I want to take up interventional radiology to become an Interventional Cardiologist . 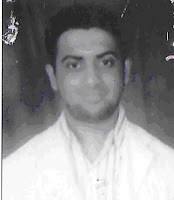 Dr.Avik Banerjee: Dr.Sumer Sethi for Radio, Surgery, Ent, SPM, Physiology & Pharma faculties.